Fresh cut flowers are one of the most beautiful, elegant, fragrant, and visually stunning elements to make any wedding shine. 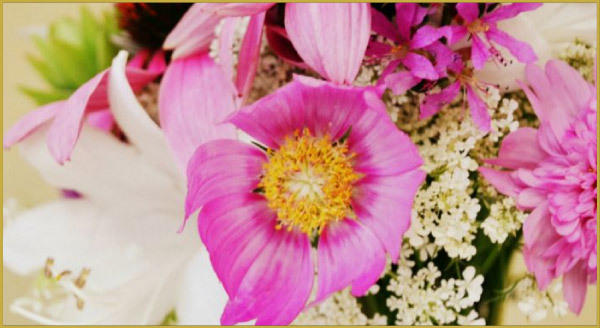 And Miami’s subtropical environment offers an amazing array of local wedding flower options. 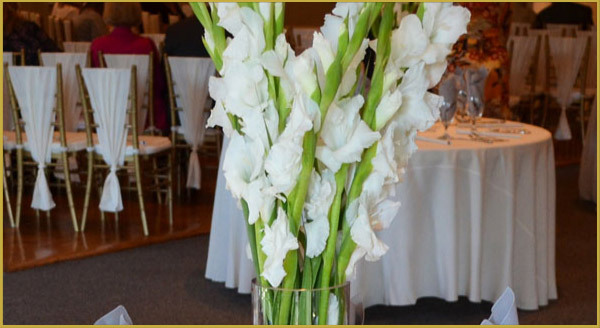 Whether you are on a tight budget, or have millions to spend, Miami wedding flowers are the perfect element for every wedding. Here are the top 10 Miami wedding flowers you can buy to display in your gorgeous banquet halls! Gerbera daisies are a popular choice for wedding flowers because they are easy to order in bulk, they are less expensive than many other types of flowers, and they come in just about every color imaginable. 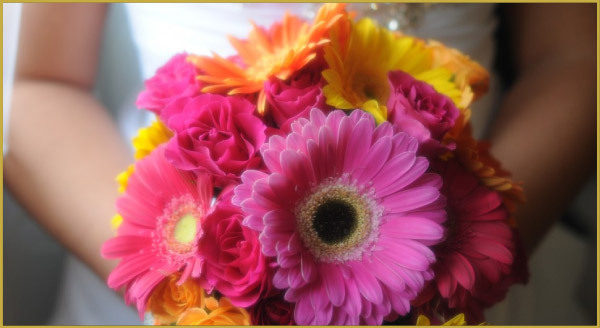 Gerbera daisies are beautiful in bouquets, centerpieces, and aisle decorations. They’re a gorgeous choice for your Miami wedding. These are beautiful and small flowers perfect for your Miami wedding. They come in tropical colors such as gold and red. They are perfect for a wedding in any season. They are great as a compliment flower or they can steal the show all on their own. Roses are a great choice for any wedding. 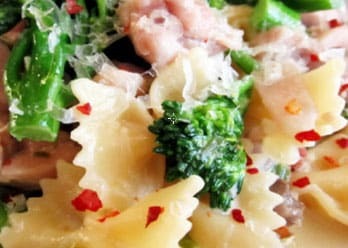 They symbolize love and romance, which is exactly what weddings are all about. They come in many different colors, which is perfect for a Florida wedding. Try using a wide array of colors for a more tropical feel. Roses are also great because they can hold up to warmer weather conditions. 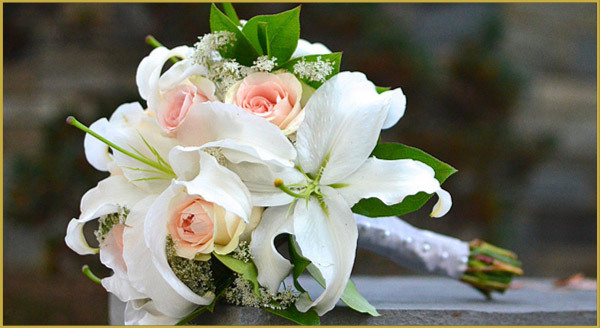 Lilies are always a favorite for weddings. They’re beautiful and delicate, just like a bride. Day lilies are especially nice because they bring a tropical feel to your wedding. Gorgeous tropical colors are perfect for an indoor or outdoor wedding. These are definitely a different choice. They are actually several different flower blooms along a long stalk. They look amazing in centerpieces. Varied tropical colors make them a beautiful choice for a wedding. Combine several different colors for a truly ethereal feel for your wedding. These are the epitome of tropical bliss. Your wedding may be in Miami, but it will feel like you’re on a Hawaiian vacation. 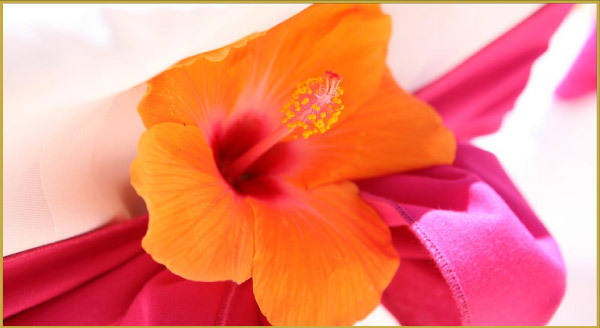 Hibiscus smell amazing, and will have your guests feeling like they really are on their way to a tropical paradise. Gorgeous colors like deep purple and vibrant pink are tropical, but not as typical as many other flowers. These are a slightly different choice than the typical tropical flower. Orchids have a delicate beauty. They’re a bold choice, but will definitely make your wedding a statement. They will look amazing in a cascade bouquet. 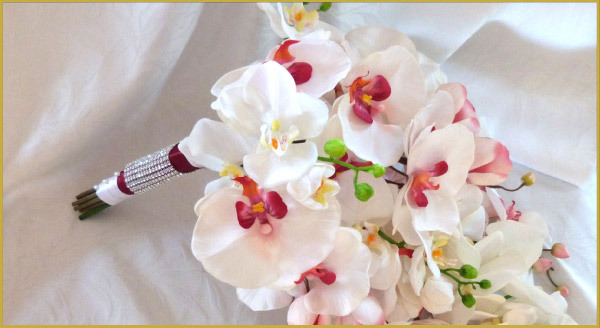 White orchids especial will add sophistication to your big day. 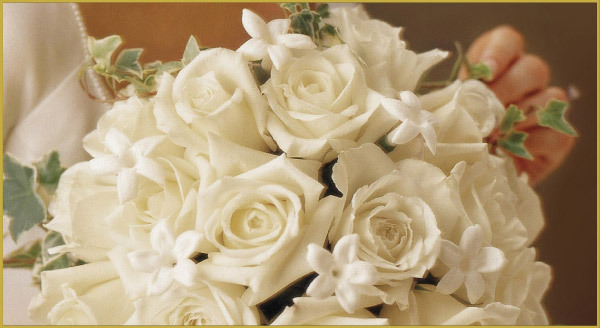 The orange blossom is the state flower of Florida, so what could be more perfect for Miami wedding flowers? Orange blossoms are fragrant and beautiful. Your wedding will definitely be a Florida sensation. These flowers make a wonderful statement on their own or when paired with another flower. 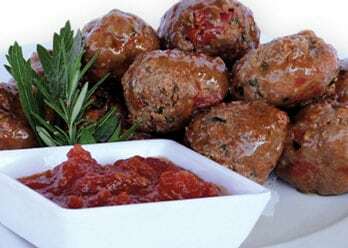 They are small, so they make a great accompaniment to candle or glass centerpieces. These are another small flower that epitomize tropical climates. They are popular in leis, so they would be a great choice for an outdoor wedding. Plumeria would make beautiful decorations as leis for guests or perfect for the bride to wear in her hair. Enjoy the fun of plumeria on your wedding day. Unique. There is no other word for these flowers. 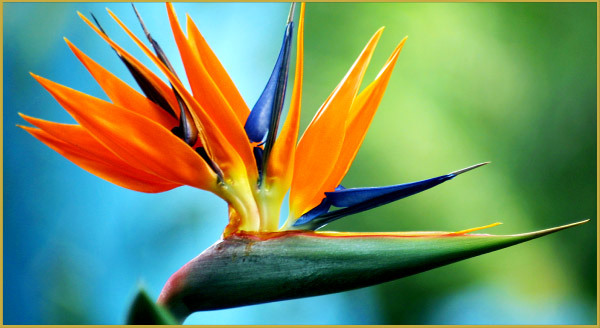 If you want your guests to talk about your wedding for years, then you can’t go wrong with Bird of Paradise flowers. Nothing says tropical or beautiful better than these. They are by far the most unique and amazing choice for your Miami wedding. If you’re in need of searching for Elegant and Affordable Wedding Venue in Miami, Florida look no further than Grand Salon Reception Hall. Contact Us Now!